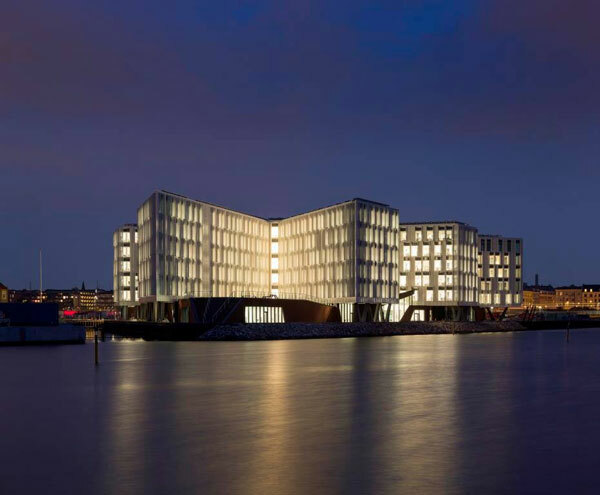 The firm 3XN had the task to bring together the various agencies and functions of the United Nations regional offices in Copenhagen, and created the new Head Office at the northern harbour of the Danish capital. 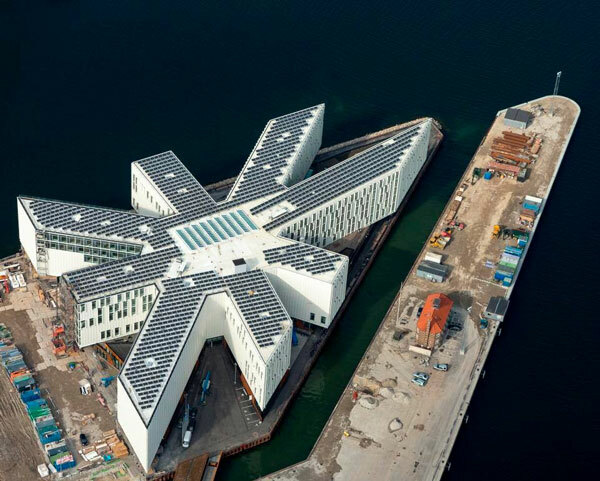 3XN’s star shaped design reflects the nature of each UN unit working independently, efficiently and professionally with clear roots in a mutual set of values – Delivering as One. And it’s beautiful! It was officially opened on 4th of July by Secretary General Ban Ki-moon and Queen Margrethe II of Denmark. High security and accessibility standards have been central considerations in the design of the new Head Office. 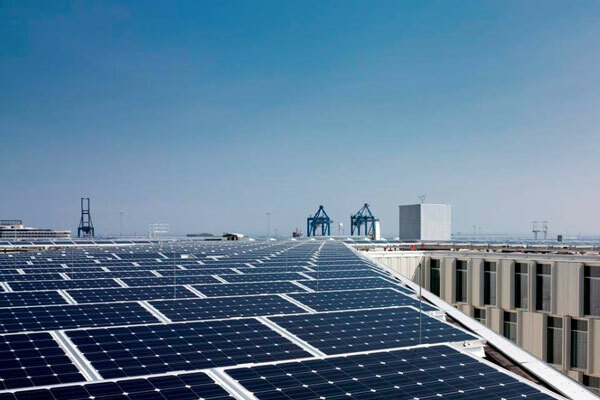 The UN City must live up to the most stringent requirements, providing a protected and safe environment, while at the same time appearing open and accommodating to the city. 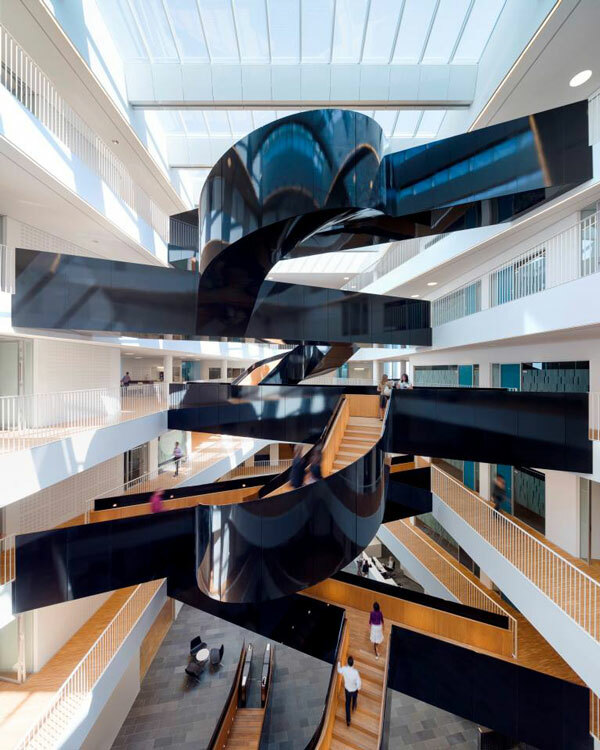 It has therefore been a key part of the design to ensure that the high security level does not become the dominating feeling when entering the building. Instead security and openness should be experienced as two aspects of the same coin. 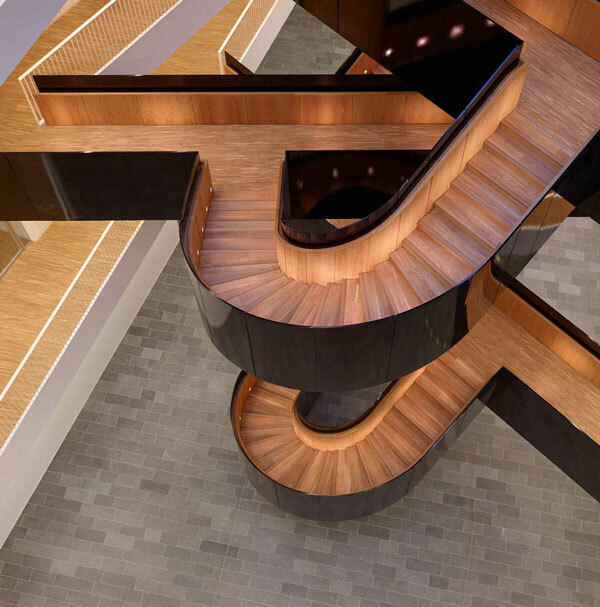 The atrium is the centre of daily life offering visual and physical connections across floors and units in a space full of natural daylight and a central staircase. All office levels have an open and flexible layout permitting interaction as well as individual immersion. Work stations are ensured plenty of daylight and a good indoor climate. 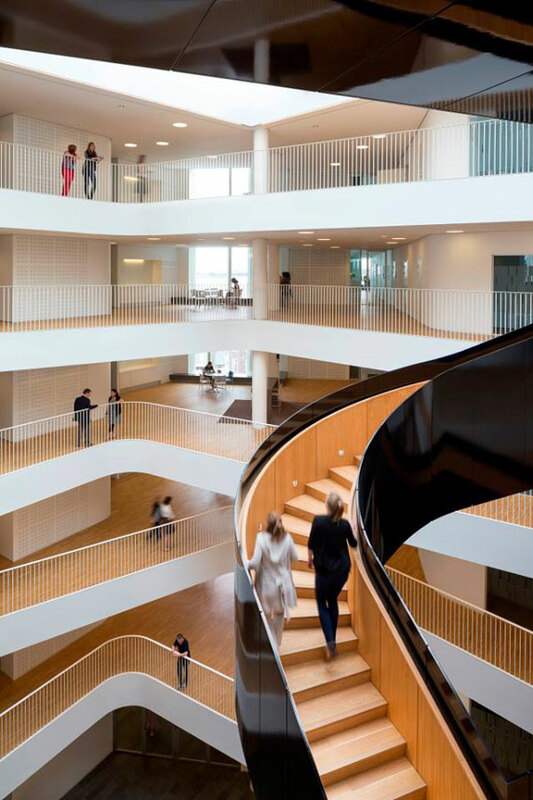 The work environment is further improved by an overall health policy including green recreational areas and a number of sustainable features. 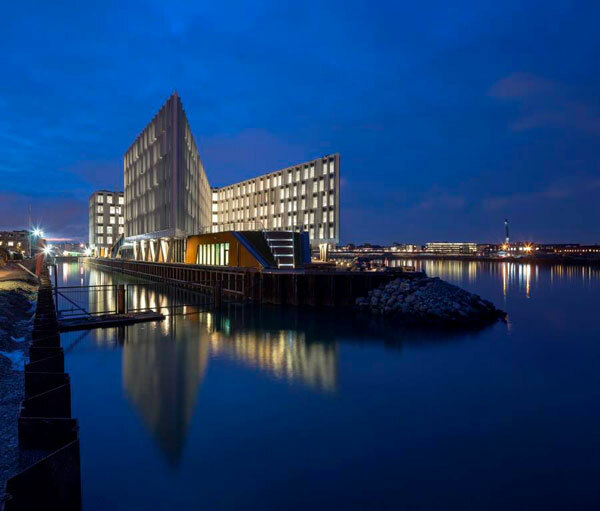 Hence, the UN City is expected to become one of Denmark’s most energy efficient buildings with an annual energy consumption of less than 50 KwH per m2 The UN City is registered with the LEED sustainability ratings system with the certification goal of minimum LEED® Gold.